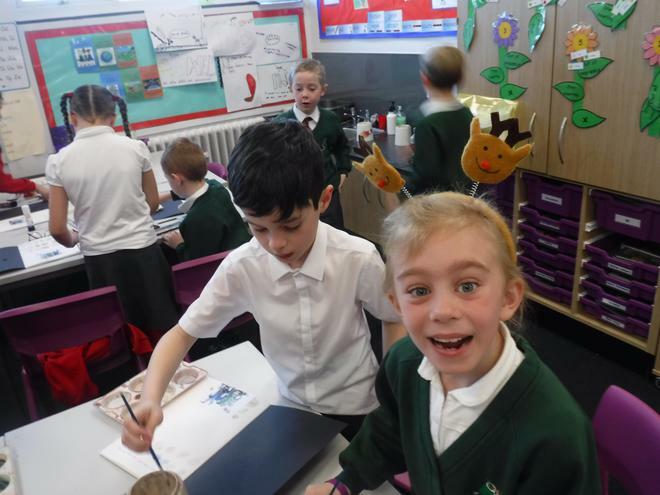 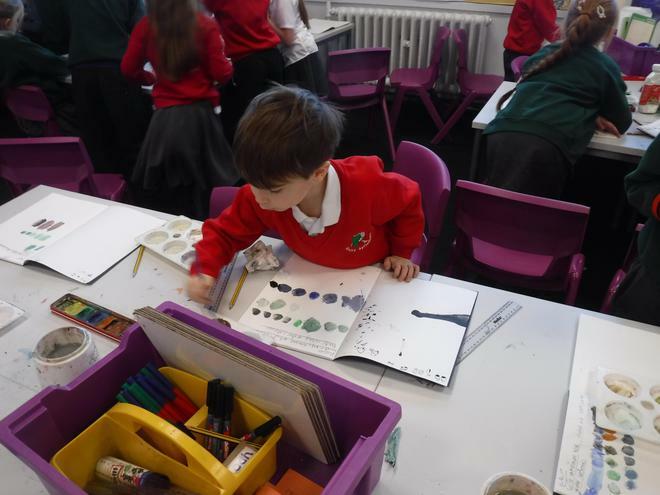 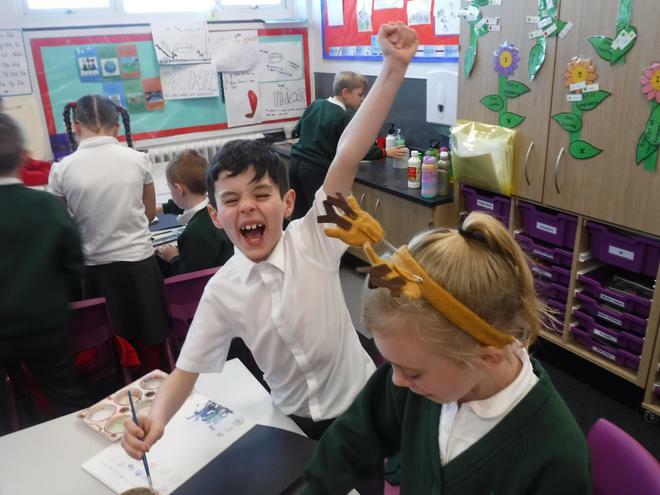 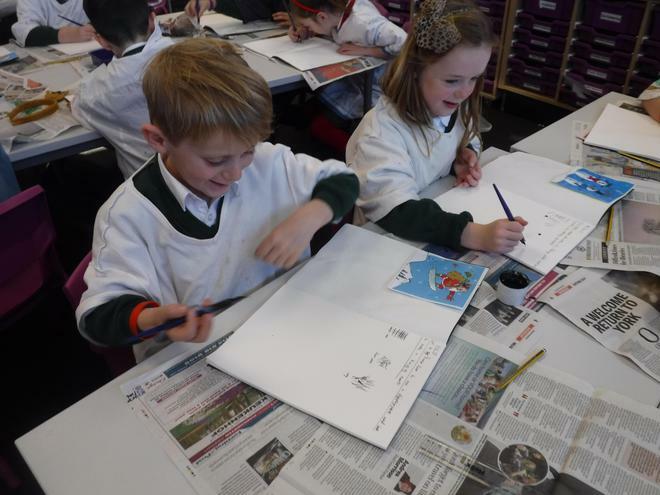 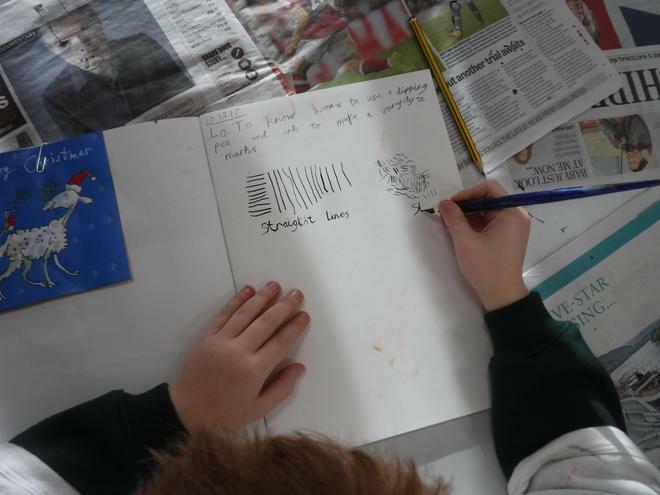 As the children have loved reading The Twits this half term and have especially enjoyed the Quinten Blake illustrations, we have recreated one of his Christmas illustrations. 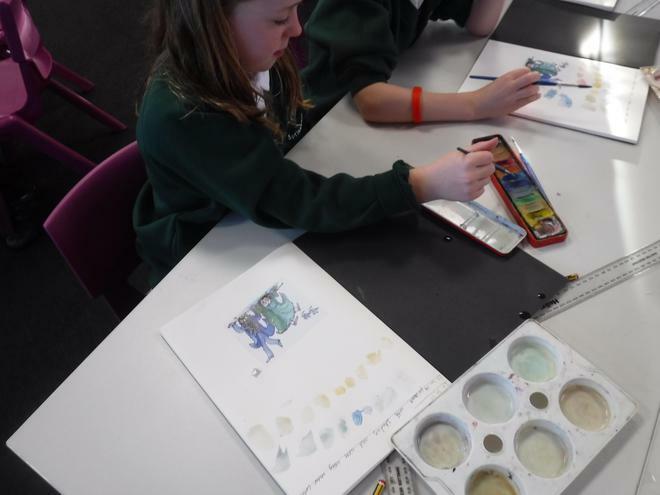 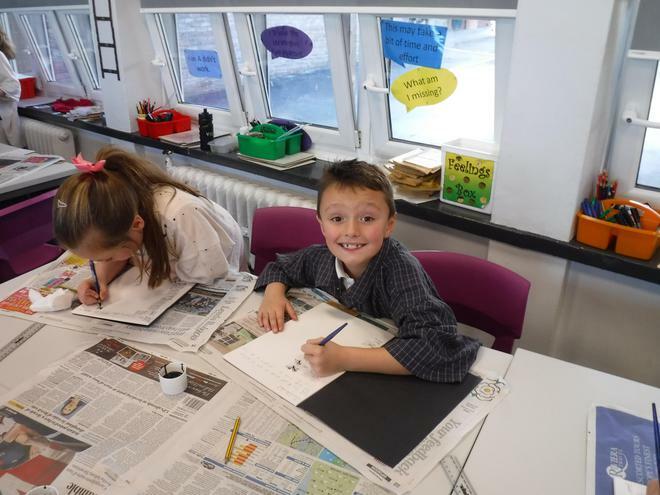 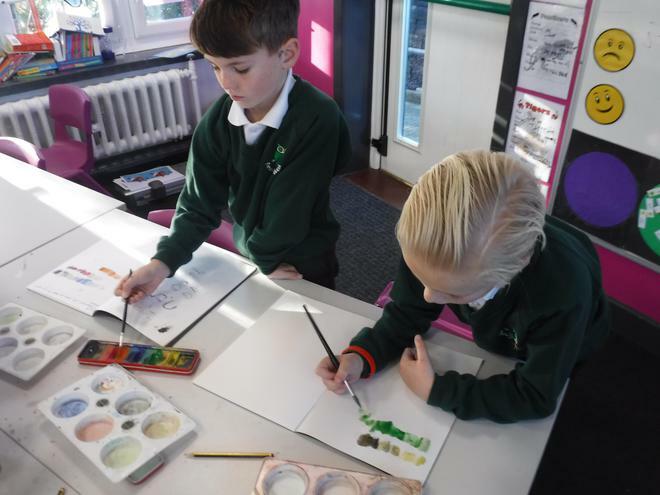 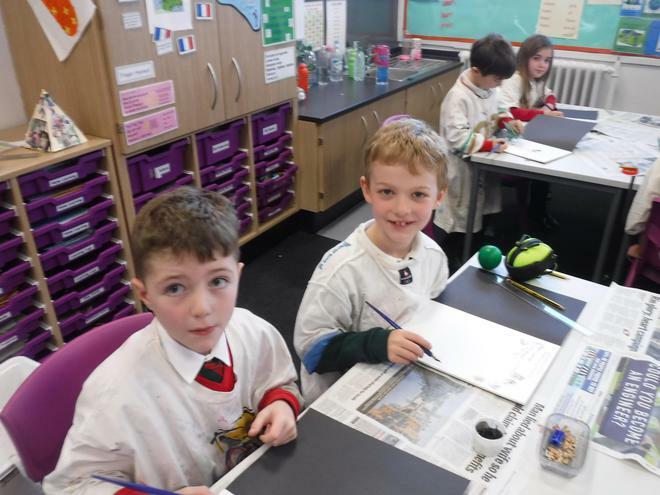 First, we practised mixing water colours and creating tints and shades of colours. 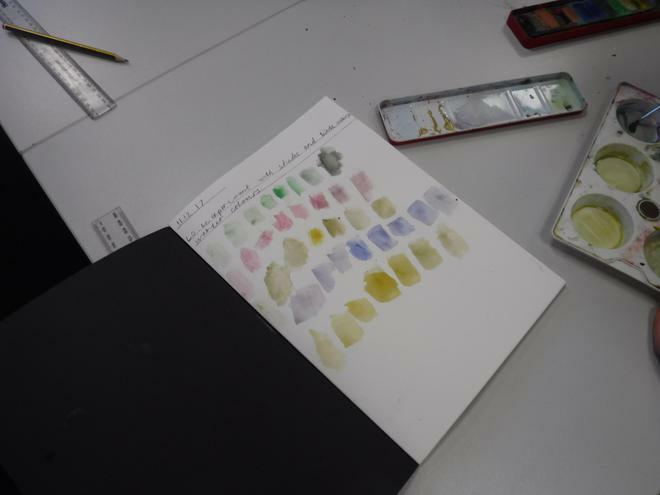 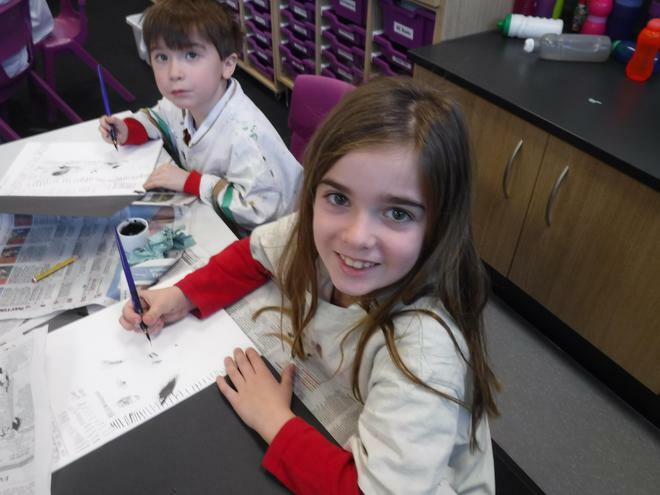 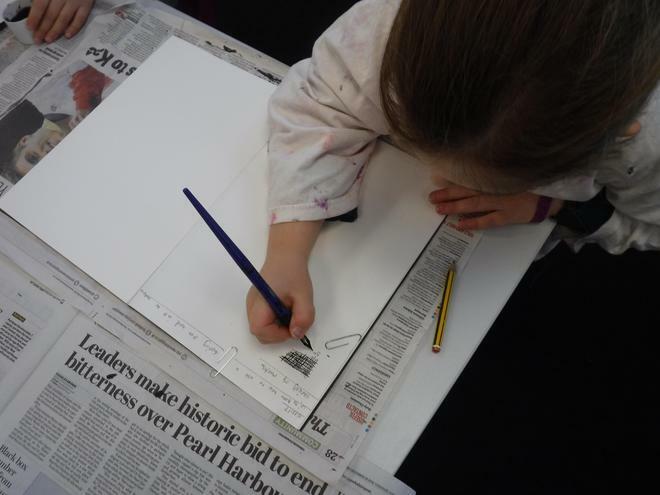 Then, we practised using dipping ink pens which was very exciting as well as nerve-wracking. 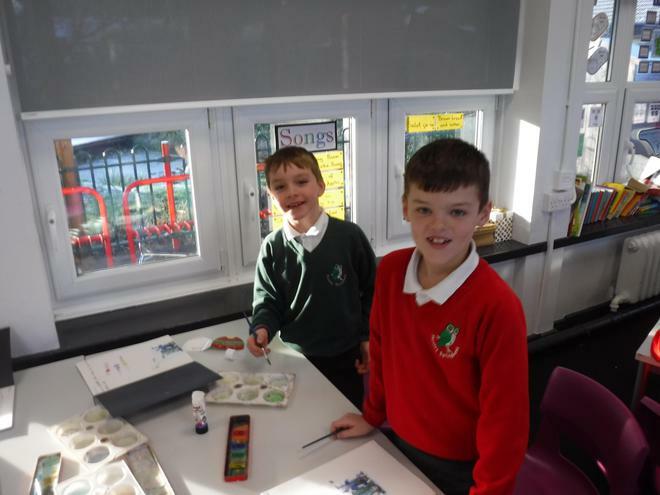 Finally, we put these skills together to create some wonderful Christmas cards.